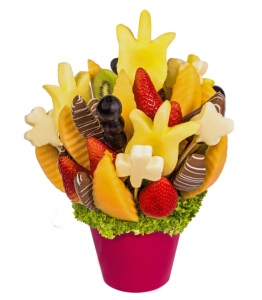 Valentine Wish Valentine Wish is the original fruit bouquet to show your love to your loved o.. 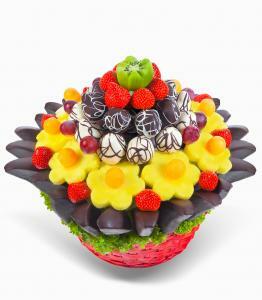 Strawberry flower Strawberry flower is created from the freshest and sweetest strawberries. 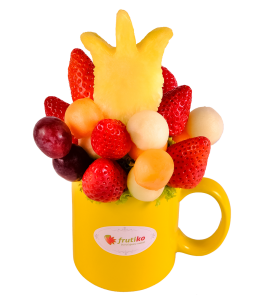 F..
Fruit Festival Fruit festival will bring you the feeling of summer festival in any season. 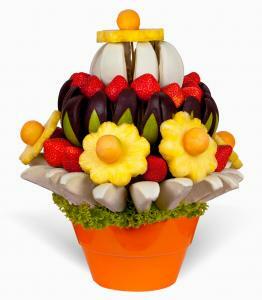 Fr..
Easter Basket Easter Basket is a delicious bouquet of fresh fruit and chocolate, which i..
Fruit bouquet Cars for boys The original fruit bouquet for both little and big boys with a mo..
Minnie fruit bouquet for little girls Cute Minnie on a cup, pink chocolate on pineapple, appl..
Fruit bouquet "For Mum" in a Cup Frutiko Fruit Flower "For mum" is one of our very origi..
For Pleasure Flower For Pleasure made of fresh fruit - pineapple, grapes, green apples, orang..
Frutiko Fruit bouquets are edible bouquets made ​​from fresh fruits dipped in high-quality chocolate. 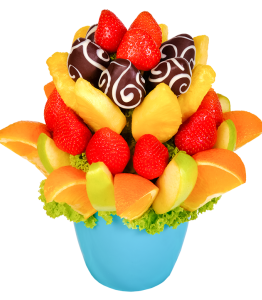 You can order those delicious fruit arrangements online and we will deliver your fruit bouquet within 3 hours on the same day anywhere in Prague. 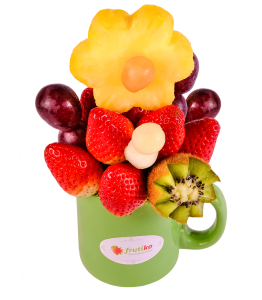 Bouquet from fruit is an original gift for any occasion, like Valentine´s Day, Mother's Day, wedding anniversary, dating anniversary or just to say thank you. 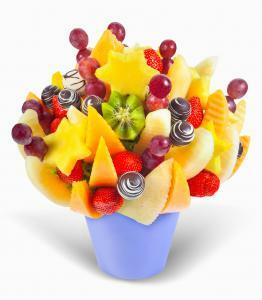 Edible arrangements are made from fresh fruits only: Cantaloupe, strawberries, melon, pineapple, grapes, kiwifruit. 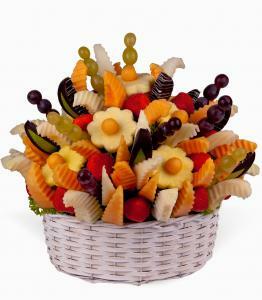 You can find use of these ingredients in every fruit bouquet. 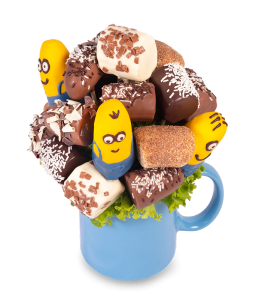 We also use quality dark and white chocolate. 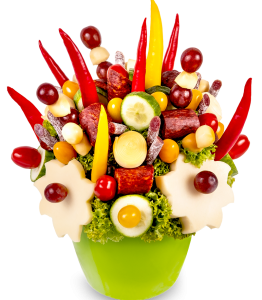 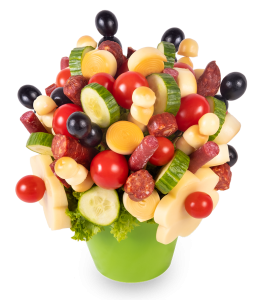 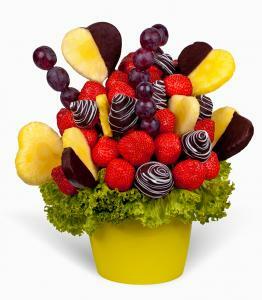 Impress your sweetheart by sending the fruit bouquet! 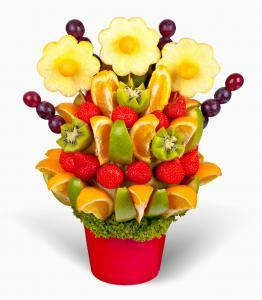 Are you thinking about sending flowers to your man? 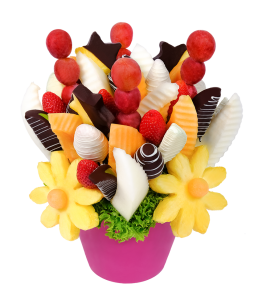 Choose a delicious fruit bouquet! 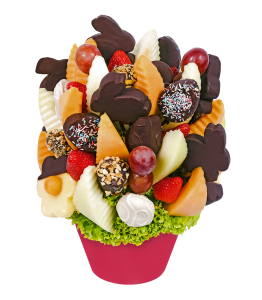 Say Thank you! 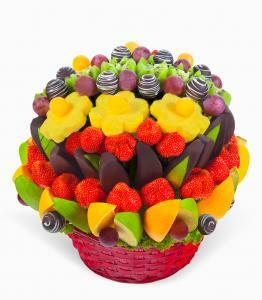 to your colleague with a colorful fruit bouquet! 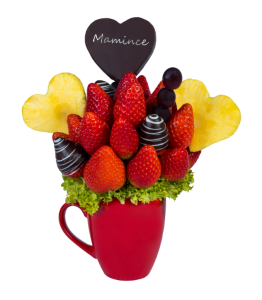 You can also send a personalized card along with your fruit gift to make the experience even more authentic. 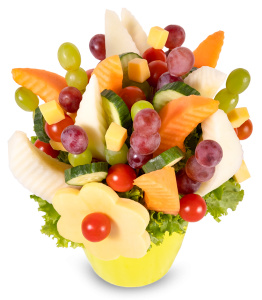 Our couriers are always friendly and polite and will make sure to deliver fruit bouquets in the shortest time possible or at the desired time and date. 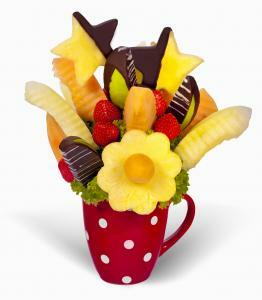 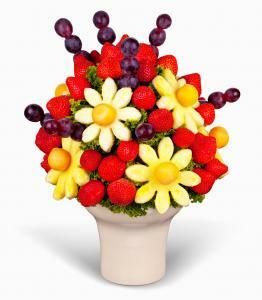 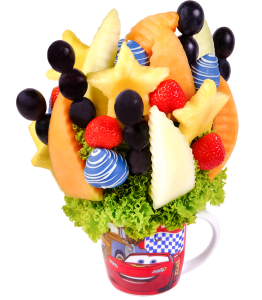 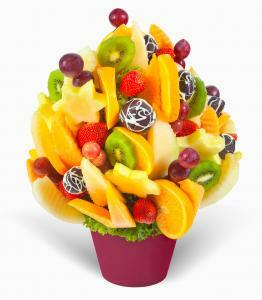 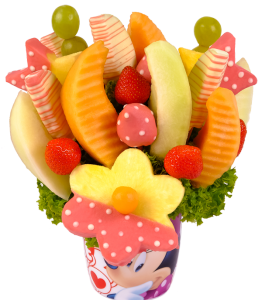 Order an edible fruit bouquet and make someone happy today!